In Magic Mirrors Part 2 : The Muse(ic), I left off with the music video and performances of "Sorry" by Madonna. In my exploration I discovered a reoccurring theme throughout the media representation of this song. In the final performance there seemed to be one story told three times in three different ways. 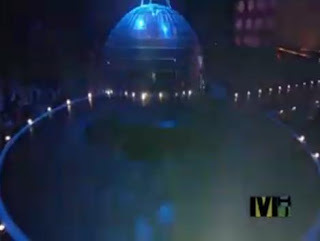 The performance begins with a music video being played on the screen located on the stage. 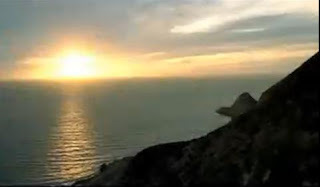 The music video features Madonna, in a purple leotard, reciting a spoken word representation of her song "Sorry" while images of disasters and various world leaders flash across the screen. On stage two dancers, one male and one female, appear and start fighting. 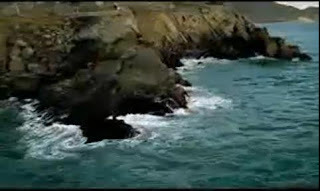 The third element of the performance is created when the viewer ponders what the connection between the video and performance is. My conclusions was that the dancers on stage are the metaphysical representation of the images on the screen. There are too many dictators and authority (male energy) and not enough female energy and that is throwing off the balance of the world and creating disaster and turmoil. This theory is heightened when a blinking George Bush appears as the female dancer is knocked to the ground by the male dancer at 3:03. As I've stated before, when describing Kundalini energy, male energy is usually linked with the color red while feminine energy is linked with blue. Red and blue combined are purple. This concept of the fusion of male and female energy is not synonymous with Kundalini. Many cultures and philosiphies describe this as the key to enlightenment. One example of this is the Egyptian symbol Ankh. While it's meaning is disputed by scholars, people in Egypt tell tourist that the symbol is a representation of the unified male and female sexual organs and the children of the union. 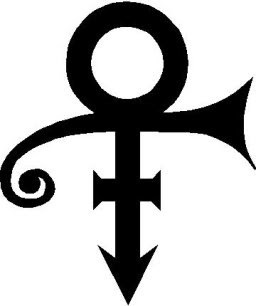 Prince has used the following symbol for most of his legendary career. Prince's symbol was inspired by the Ankh symbol with slight changes so it too represents the fusion between the masculine and feminine. Prince's image is also a fusion of masculinity and femininity and his color of choice has always been purple (Holiday on the Moon). So what does all of this have to do with Madonna? Well, in 2005 she opened the MTV Europe awards with "Hung Up". 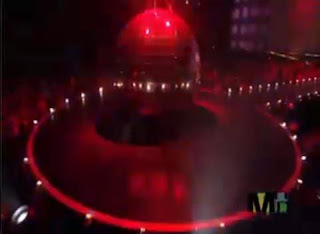 The performance began with a disco/mirror ball which changed from red to blue continuously until it lifted revealing Madonna underneath dressed in purple. 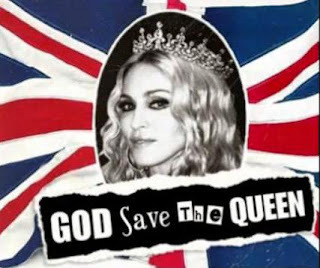 While exploring the themes found in the work of Madonna I found parallels in the work of another popular female music star who, like Madonna, is considered to be the queen of her zenre of music. 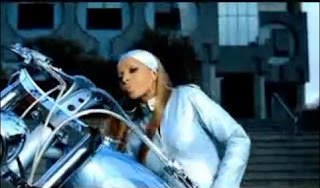 Mary J. Blige rose to the top of the Hip-Hop and R&B world in the 90's. Like Madonna, her image changed at the beginning of this decade. Madonna went from a sexually provocative image to a spiritually motivated humanitarian and mother while Mary J. Blige went from a abused drug addict to a drama free married woman. That's not where the parallels end though. The same year Madonna released "Hung Up", Mary released "Be Without You". 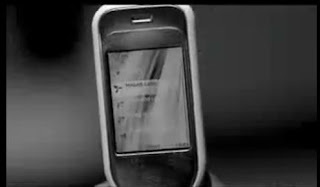 Like "Hung Up", the music video features it's star in front of a mirror for the majority of the video. Here is Mary in front of a window in her apartment. As you can see the window creates a reflection. Throughout most of the video Mary is either shown singing in front of the window with her refection or this mirror. 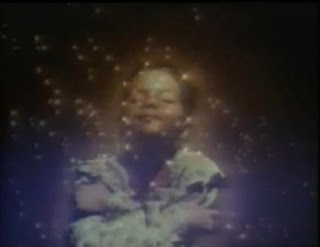 This scene reminds me of the Jacksons video from Part 1 with this Egyptian rebirth pose. Like Madonna in "Hung Up" Mary is waiting for a call. Most of the video is in black and white besides the scenes where Terrence Howard is with her. Like Madonna's "Sorry" Mary followed this video up with a song about kicking a man to the curb. The following year Mary released a greatest his album titled Reflections (A Retrospective). The first single from that compilation was "We Ride (I See The Future). The title is interesting considering magic mirrors are used to see the future as I explained in Part 1. The video begins with various shots of skyscrapers. I'm aware that these buildings create a reflection since I work in downtown San Jose and see them daily. As we can see Mary is dressed in blue. The male character, played by her real life husband, is in red. They ride their motor cycles up a mountain. This concept reminds me of the Goldfrapp album Felt Mountain, the idea of a mountain representing spiritual ascention. As they reach the top of the mountain they are illuminated by the sun. Similar themes of the future, riding, lovers, and spirituality. Is it all a coincidence?